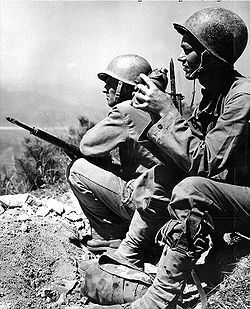 The defence of the Naktong River by the American 24th Division which is attacked by the North Korean 4th Division. The North Koreans seize Cloverleaf Hill and the Obong ridge. Early American attempts to retake the hill are unsuccessful, but with the help of the Marine, they finally regain them. A biography of Major General Lee, commander of the North Korean 4th Division.